Hard to believe yet another year just flew by. I'm writing this post, a few hours before 2010 comes to a close. Just under 12 months ago I started my Pic(k) of the week project. I clearly remember the first image made early January in a wintery Belgium. 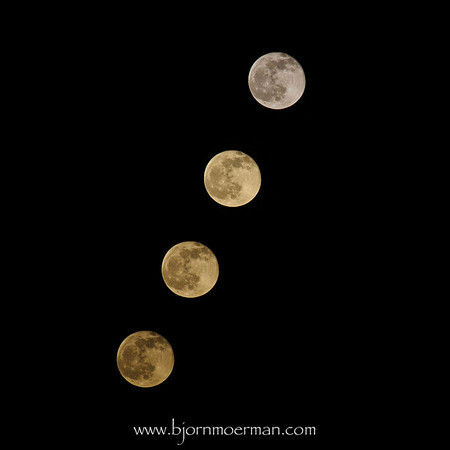 Overall 2010, has been another exciting photography year! It has been especially good year for travel photography. In April, I came home with images from Delhi, Agra, and Jaipur on my weeklong " 2010 Incredible India" photo tour. 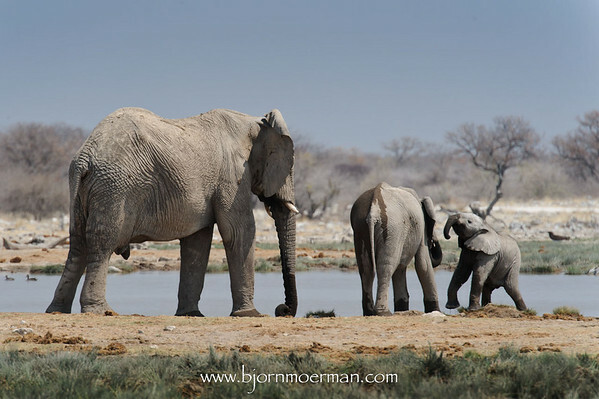 After the summer, I left on the amazing African photo adventure in Namibia called; "The Beauty and the Beasts". My airline job, brought me to interesting places all over the world. Check them out in my Travel gallery. The Yas Hotel (on the Formula one circuit in Abu Dhabi) images collection, became my most popular Architectural photography series ever. The images were showcased in magazines in the US, Europe, Middle East, all the way to Japan. 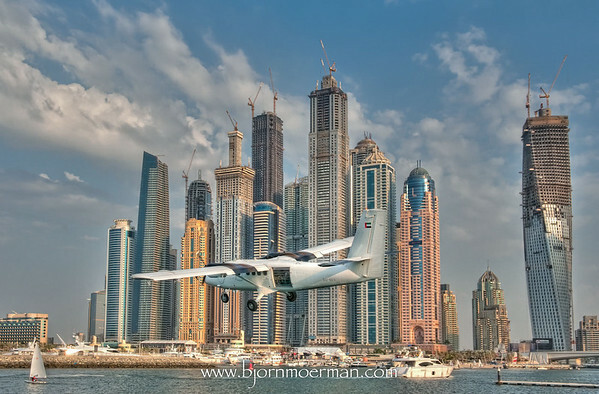 My Aviation photography highlights were the shoot for the making of the "Abelag" calendar, Air to Air photography while in Belgium last Summer and the MEBA 2010 Business aviation event held in Dubai. 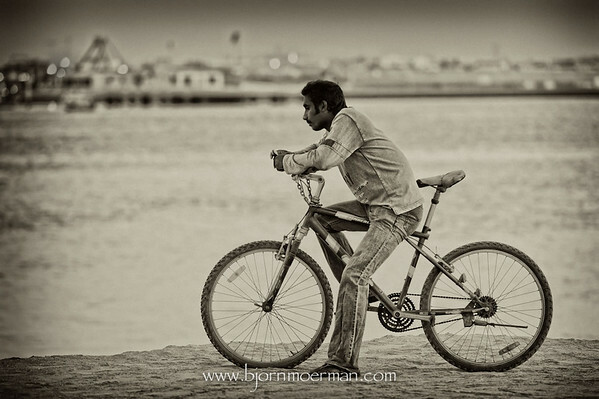 While shooting some Architectural work at Dubai Creek, I noticed this Indian man. To me, it feels like he is thinking about the past and future... something we often do at this time of the year. This shot is not posed or set up. Actually he probably never realized he was being photographed! Last but not least, since I'm a strong believer in personal photography projects, I will continue my "Pic(k) of the week" project for a second series. All images of the 2010 edition can be found here. Most of you probably know that my day (or night) job is being an airline captain for a major airline based in Dubai. Guess which one! Beside the line flying, I've also been holding an instructor/examiner rating for a number of years. One of the more interesting training duties is Base training, which is taking cadet pilots (ab-initio, inexperienced first-officers) out in an empty Airbus A330 to do actual take-off and landings (touch&go's) for the very first time in the real aircraft! Earlier this month I've done quite a few of these flights which are very rewarding from a job satisfaction point of view. One of the things that feels very different in the real aircraft compared to the simulator, is taxying the aircraft. As an instructor, I frequently find myself saying to the trainees, "Stay on the line". I'm sure this explains the image caption. The shot above is made with my brand-new Nikon P7000, a compact camera with a pro touch! It replaces my 2 year old Canon G9. So far I've been very happy with the new Nikon's image quality and interface. Initially writing a single raw file to the memory card took more than 5secs, which is really slow! A firmware update and buying a 4GB high speed class 10, Sandisk card reduces the time to less than 2secs. Very reasonable for RAW file writing on a compact camera. Needless to say that this camera will not replace Pro gear like my NIKON D700 with 2.8 lenses. More of my Airline images can be found here. Last August, I spend a day shooting at Brussels airport for the Benelux leader in Business Aviation, Abelag. 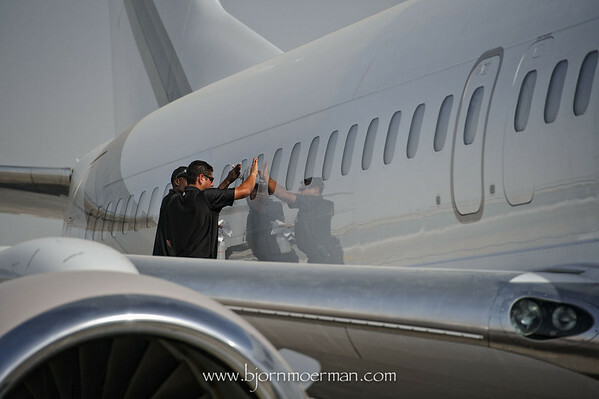 They operate a large fleet of more than 20 cooperate aircraft, ranging from the prop-jet Beechcraft King-Air 200 to the Dassault Falcon 2000 EX. The day started very rainy but about halfway through, the sky cleared up and the cumulus clouds made for a great background! The main purpose of the shoot was collecting images for their yearly black and white cooperate calendar. The final design of the project has been done by a local Belgian printing company and the calendar is now in the process of being distributed. So far it has been well received and feedback has been very positive! A few sample pages can be found below. Please click on the image to see the full size. 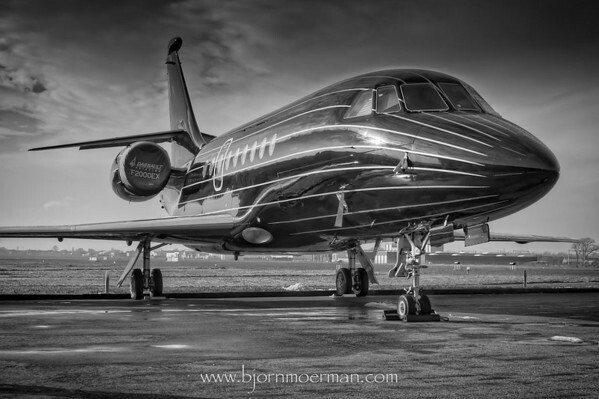 Kortrijk-Wevelgem, can be found in my Business Aviation gallery. Please contact me if you are interested in a similar project for your company! Along the Dubai creek, close to Business Bay bridge, you'll find Dubai Festival City. A relative new project consisting of a residential area, a shopping mall (after all it is Dubai! ), golf course, commercial offices and 2 hotels. They have an interesting one-liner on their website: "It's all happening where it all began". A reference to the birth of Dubai which started around fishing and pearl diving at Dubai creek. Just like in the early days, the saltwater creek divides the city in two parts, Bur Dubai and Deira. The image of Festival city's office tower and hotels above, is made from across the creek, Bur Dubai side. Since the opening of the new Business Bay bridge, the overriding color of the area is blue. Due to the high dynamic range, I shot 5 images (-2,-1, 0, +1, +2EV) and combined them into a HDR image. Needless to say, that one will need a sturdy tripod to do so! 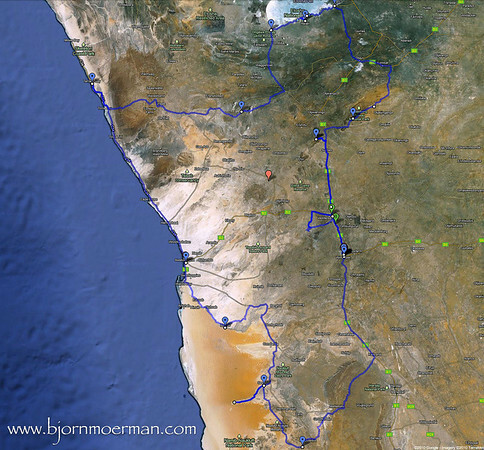 More images of the area can be found here. 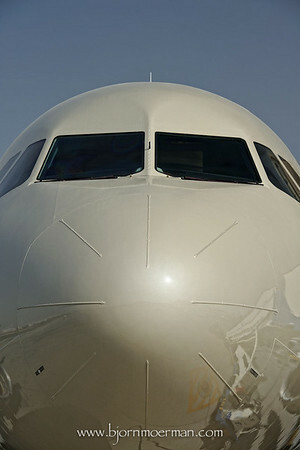 MEBA 2010, Middle East Aviation, has come to an end. 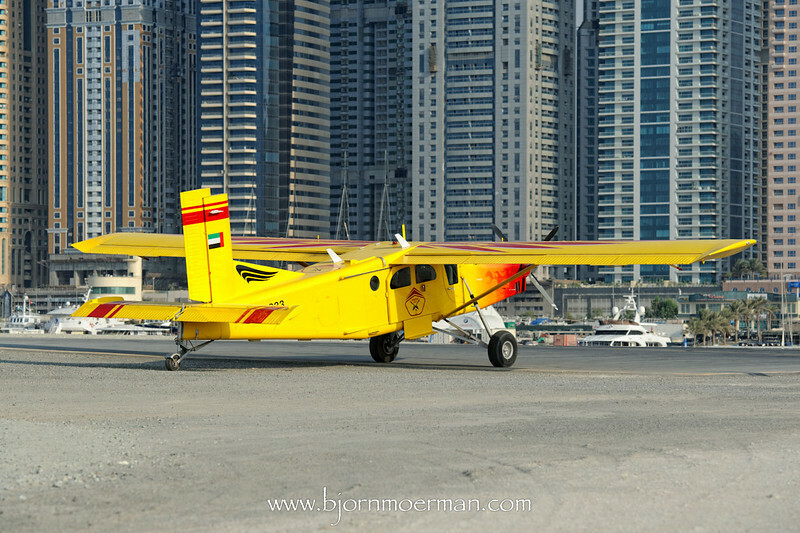 The bi-annual three day event held in Dubai, is a convention of everything business aviation related in the region. I attended on the opening day and had two reasons to go: 1/ Meeting with future cooperate aviation clients, 2/ Expanding my aviation portfolio. Overall happy with the outcome, I did enjoy the 60 or so aircraft on static display. 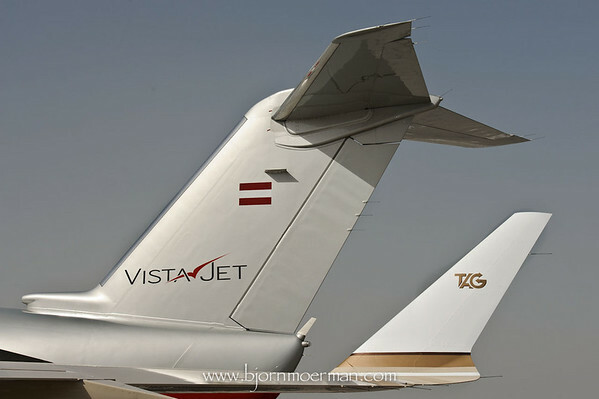 Sometimes the fact that aircraft are parked close together, can be used to the photographers advantage, like combining the tail of a Vista Jet Challenger 605 with the winglet of a TAG Global Express. There were a fair amount of large cabin business jets like Boeing BBJ's and this Al Jaber Aviation (AJA) Airbus A318 Elite cooperate jet. My favorite of the MEBA day was this detailed shot of the center engine of a Dassault Falcon 7X. 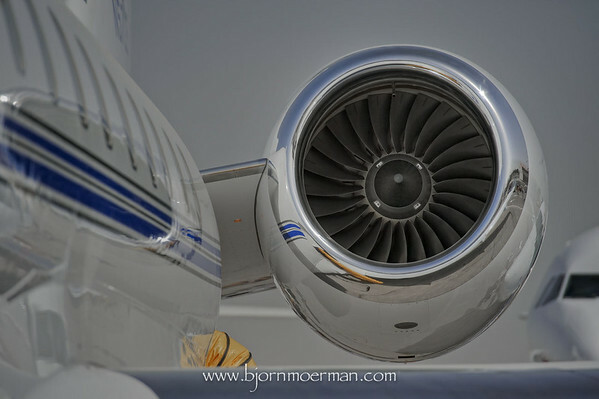 As usual I want to give it some time, but it is likely the image will make it into my Aviation portfolio gallery or at least my Business aviation gallery! 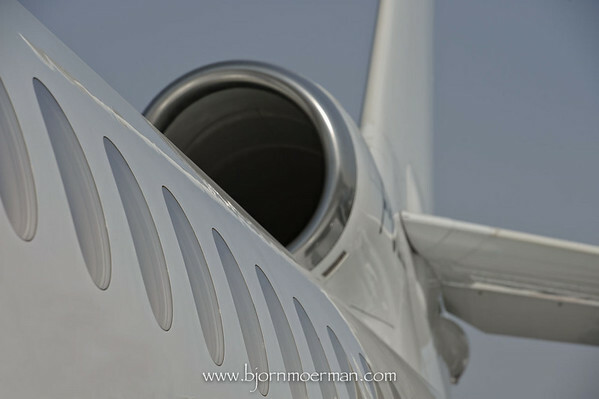 Over the years, photographing business jets has been one of my favorite jobs. They are relatively small, have great lines and often come in amazing paint jobs ! I shot this beautiful French built Dassault Falcon 2000 EX at Kortrijk-Wevelgem airport, while I was in Belgium last week. Its full black livery with silver stripes is unique and very photogenic. Even though I photographed this regular visitor to the airport before, I'm very pleased with this latest one! Looking at the patches of snow, this one is clearly made on a cold wintery day... Oh boy it was cold! I'm now off to another Business aviation event, this time in Dubai, MEBA 2010 (Middle East Business Aviation). 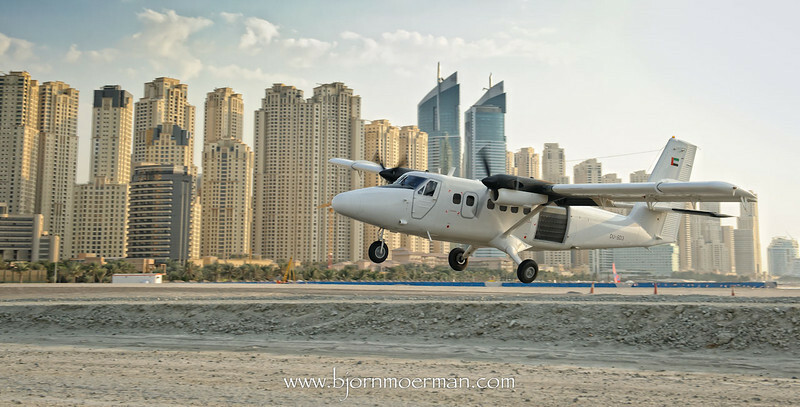 It is the Middle East's premier aviation event and a perfect place to connect with past and hopefully future clients! Even though it doesn't include an airshow, the show has about 60 or so business aircraft on static display. Expect more on the event in a future blogpost. No short break to Belgium is complete without a flight in a general aviation aircraft! 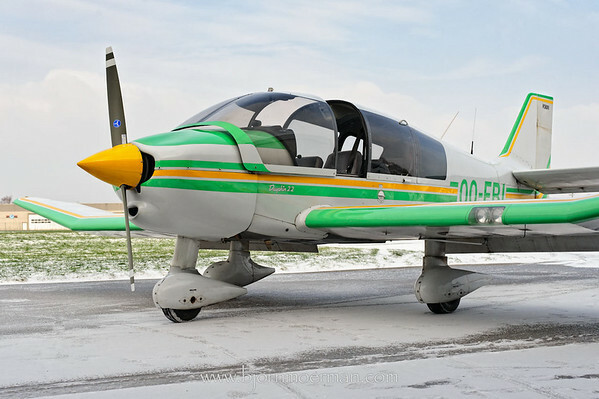 We flew a single engine Robin DR400 over the white fields of Flanders. The semi-bubble canopy is not ideal for photography, but the low level winter flying combined with some interesting shots, made my day! Navigating over snowy landscapes is very different due to a large change in contrast. Snow cleared roads stick out very clearly while some items like railways and high tension lines are barely visible. Even though we didn't land there, the Ostend airport at the Belgian coastline was open and ready for traffic. Airports with a single runway like Ostend, are often temporarily closed due to snow removal. Before heading back to the home airport ( Kortrijk-Wevelgem), we landed at Ursel air base, a dis-used but standby military base in the middle of a forest, used by two civilian aero-clubs. Always a great place for an afternoon cup of coffee! 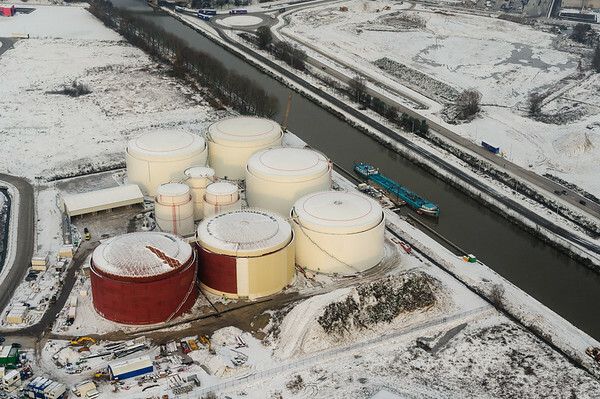 Aerial photography is great for industrial buildings like these brand new fuel tanks along the Roeselare-Leie channel. Each large tank can hold 30 million liters and takes up to 2 months to fill up. Just before landing at Kortrijk-Wevelgem airport, we overflew one of Belgium's oldest Renaissance castles, Rumbeke castle. The place gives me a lot of childhood memories and about 18 months ago I shot a series of HDR (High Dynamic Range) images at the site. All of them can be found here. Those of you interested in my Aerial photography, make sure you check out my book, Focus on the World Below. Combining my two great passions, aviation and photography, always gives me this warm fussy feeling... Nice when its -10C outside!